«Scratch-2» – polyphony of flickers, video installation. 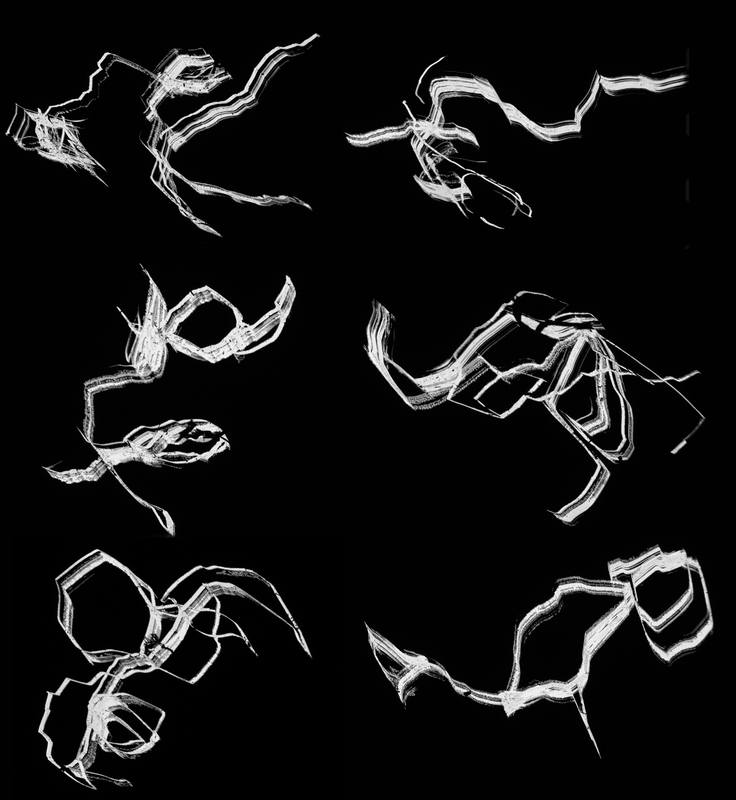 From 1976 to 1999, the animation technique of scratching directly on film has been the center of my cinematographic work. In year 2000, I left it behind to embrace the digital, convinced that I would never come back to it. The course of things is proving me wrong. Since about a year, I felt a strong need to resume my use of this technique. As I did not want to simply connect with where I had left seventeen years ago and redo the same kind of things I was doing at the time, I decided for an evolutionary process in order to redefine my approach to scratching. As a fisrt step, in May 2016, I posted on Facebook a series of thirty scratched on film gif’s, images that I recycled to make a film, Scratch, triptych-3, and also to develop a first video installation that was shown in January 2017 at Clark Center in Montreal, in the Hors-Pages group exhibition. Then, on April 6, there was a performance with musicians Malcolm Goldstein and John Heward presented at Cinémathèque québécoise, of which this installation was a direct consequence. This work is articulated around the idea of «polyphony of flickers» that I got from a frame by frame analysis of the Norman McLaren’s film Blinkity Bleank, where I found a degree of complexity in the use of intermittent animation far beyond what I had expected. It is from this inspiration by the McLaren’s art of flickers and also from the crude and physical manner of Len Lye in Free Radicals – those two filmmakers and those two films where early inspiration for me – that I envisionned this multifaceted project. The polyphonic idea is first developped at the level of the succession of discrete frames where different rate of flickering are superimposed to create complex rythmic patterns. It also express itself through the juxtaposition of the three screens where loops of different lenghts are endlesly running. The result is a constant lag between the three components and a constant recomposition between the images and the sounds. It would take 1291 days, about three years and a half, to return to the initial state of this looping setup. Thus it is impossible for anybody to watch the pieice in its full lenght. In practice, it is a work without a beginning and an end, each spectator is bound to experience something totally singular. May 2017, first showing at the Norman McLaren exhibition space at Cinématheque québécoise in Montreal; August 2018, at University of Montreal, during a intensive two weeks summer seminar; March 2019, in Lisbon, at the Sociedade National de Bellas Artes, during the Monstra animation festival. Animation, image and sound editing, direction : Pierre Hébert; musical fragments : Malcolm Goldstein (violin) and John Heward (drums); sound recording : Robert Langlois (Studio 270). Scratch-2 in Lisbon, Sociedade National de Bellas Artes, Traços de Luz, Monstra animation festival, March 2019. The installation is meant to be preferably shown with projection, like it originally was in 2017 at Cinémathèque québécoise in Montreal, in the large Norman McLaren exhibition space. Three projectors are needed. 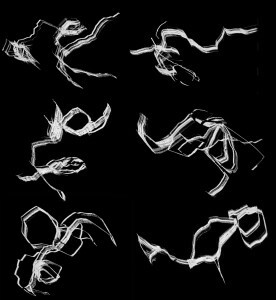 Three independant loops of different lengths, each with its own sound track, are to be projected. They must run independantly without synchronisation and the three soundtracks must be amplified and played separately. This way of showing it results in a strong immersive experience. 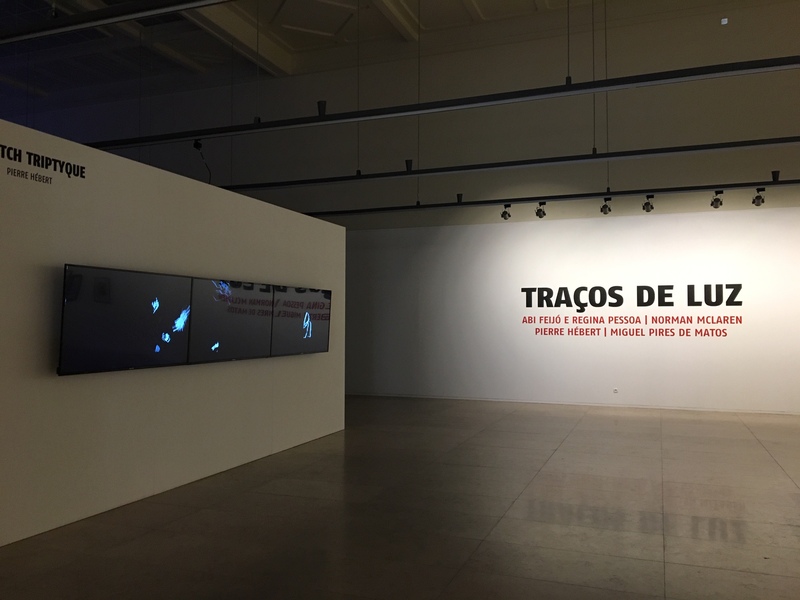 It is also possible to show the installation on three flat screens with good results, like it was done at the Sociedade National de Bellas Artes in Lisbon. The screen must be set up side by side and the sound track of each of the three loops must also be played and amplified separately with as much spatialization as possible. If the sound is deliver in stereo (like it is necessary if headphones are used), the two channels of the left screen must be sent to the left stereo channel, the left channel of the center screen to the left stereo channel, the right channel of the center screen to the right stereo channel and the two channels of the right screen to the right stereo channel.